Kick start your social life! Basingstoke Friends is a vibrant social club where there's always something happening ... from badminton to bands, pubs to parties, curries to cinema nights. We are a club that aims to create an Intelligent and Vibrant Community of like minded people from all walks of life and ages. Basingstoke friends is a social club based in the historic town of Basingstoke in the lovely North Hampshire countryside. The Basingstoke club was founded in 1985 by a couple of friends who were looking to continue their social life after being active members of the Norwich and Norfolk IVC group. The Inter-Varsity Club started in London in 1946 as a Summer Vacation Social Club for students and those who had attended places of higher learning. 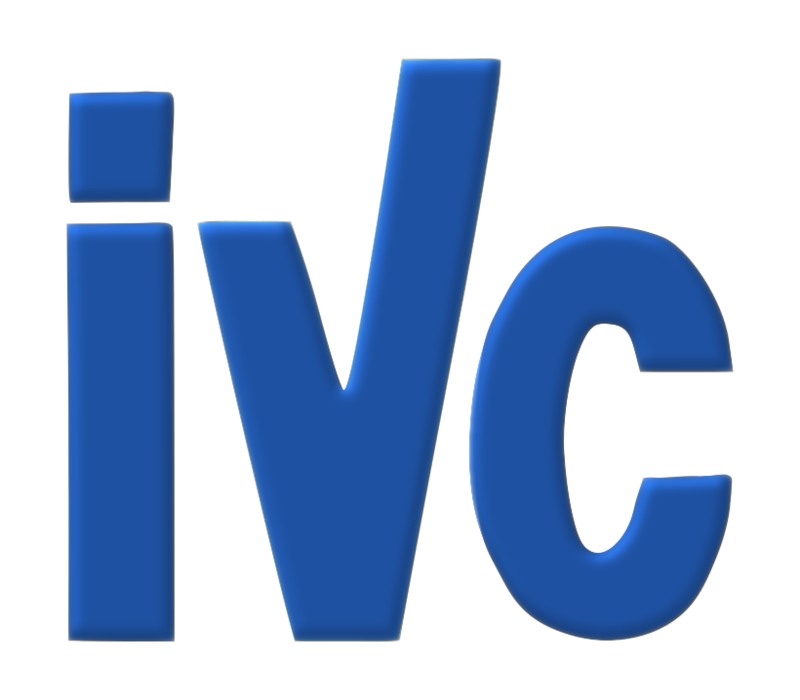 Today the membership of IVC reflects the wider range of opportunities there are for learning and career development with people coming from many walks of life to join our Intelligent and Vibrant social Community. The club is a member group of the Association of Inter-Varsity Clubs which provides links to around 40 other affiliated IVC clubs across the UK. Membership is open to anyone aged over 18 (although most members are 30+). Organise and host your own events in the community calendar. £5M of Public Liability Insurance cover so you can hire some extraordinary venues. You can attend Member-Only events. 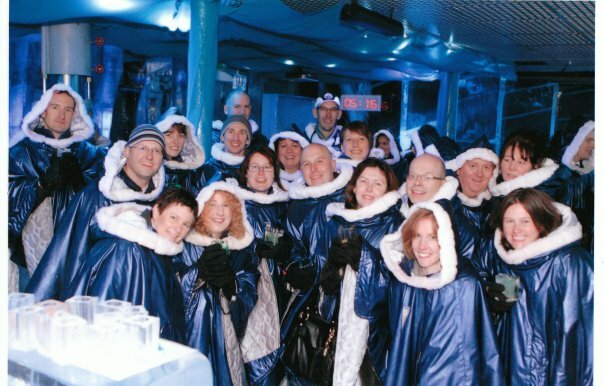 You get great discounts on our Special Events like the Christmas Party. You can get a grant to help organise parties for members and guests in your home or at other venues. You will receive email notifications for ad-hoc events. You can join in and participate in our members-only Facebook group. 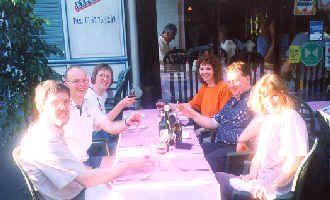 You can attend UK wide inter-club events and holidays organised by other IVC groups. You are welcome to try us out before you join to see if we are the right sort of club for you. Come and visit us at any of our combined Basingstoke Friends / Basingstoke Makerspace Tuesday Socials that start around 9pm onwards in the Maidenhead Inn on Winchester Street at the Top of Town area of Basingstoke. We are also planning a Monthly club night at the Rising Sun, Chapel Hill as an alternative, as some folks may find that more convenient. This is a great chance to put the world to rights, discuss upcoming social events, meet old and new friends, and for discussing the latest happenings in the wider World. 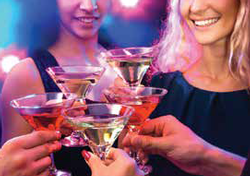 Our diary of events is always brimming with Interest, Variety and Culture so you can try new things, make new friends and kick-start your social life. There are certain events that happen each week. Come and join us every Tuesday in The Maidenhead Inn on Winchester Street, Top of Town, Basingstoke from 9pm. The members of the club put on a wide range of activities. These might range from meeting up with a few other members for a drink in a local pub, going to the theatre or music events, walks in the country, BBQs and Parties. Really anything goes. The committee arrange some major events which are held during the year. These are a chance to "get your glad rags on". There normally include a Summer Party/BBQ and the club a Christmas Party with dancing, usually held in one of the local hotels. Along with a great social events calendar, we also attend many interesting FREE talks with great speakers from professional institutes, local companies and Universities. Some of these will be Café based talk and discussion groups organised by our own members which cover a wide range of interesting subjects including the latest ideas in Science and Technology.